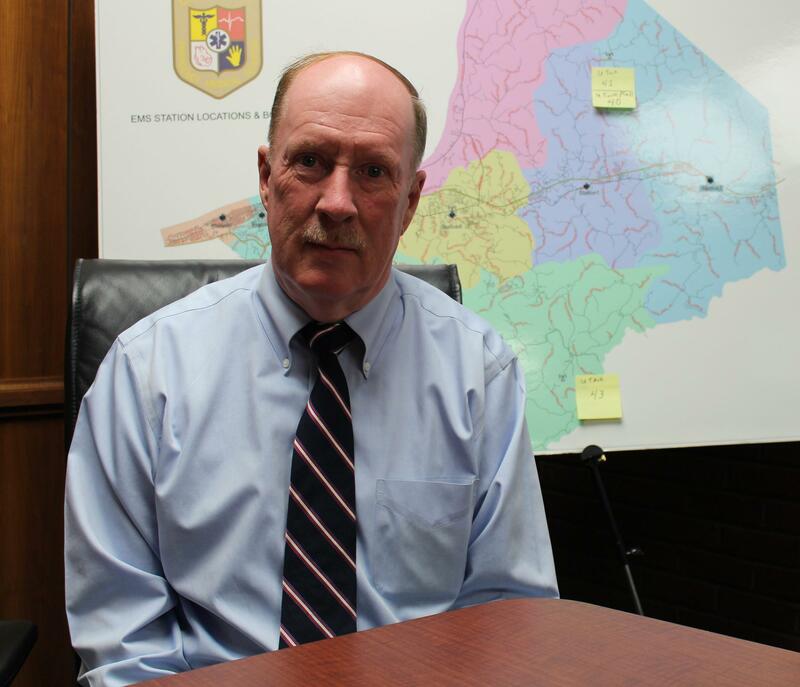 The county’s Emergency Medical Service had responded to 622 overdose calls this year as of September 24, according to ES Director Gordon Merry. Last year it was more than 900 overdoses, which surpassed the total of the previous three years combined. The county received national attention in August after responding to 26 ODs in just four hours. Cabell County EMS Director Gordon Merry’s crews have responded to more than 1,500 overdose calls in the past 18 months. All 26 victims that night survived, thanks in part to the medication naloxone. Naloxone, also known by its brand name NARCAN, is becoming more a part of everyday life due to the epidemic that’s gripped the Ohio Valley. The life-saving drug is a welcome addition for emergency responders but they caution that it is no silver bullet for the addiction crisis. To appreciate naloxone, one must understand what happens to the body during an opioid overdose. Naloxone supplies are becoming more common in places affected by the opioid crisis. 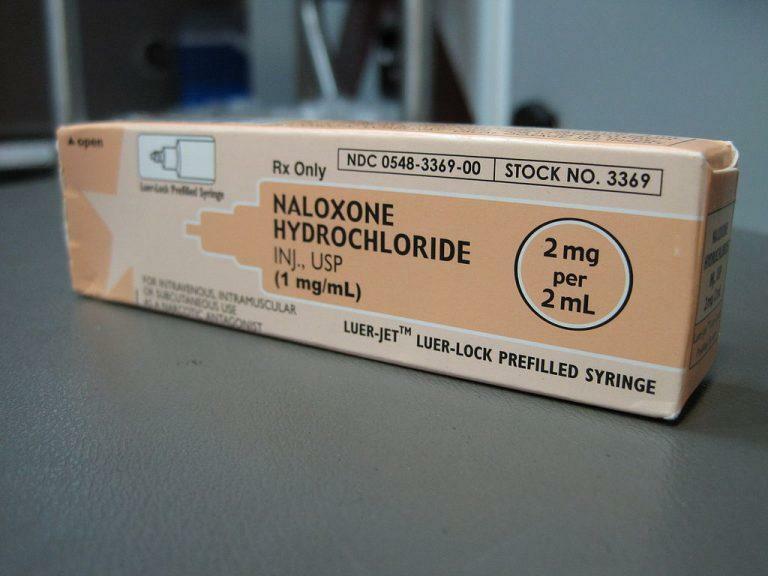 If the victim can’t be resuscitated through emergency breathing, naloxone is administered via a shot or a nasal spray. Dr. Ford said the medicine essentially sweeps the opioids off receptor sites in the brain and puts the victim in immediate withdrawal. “It won’t kill you, but you wish it would because it feels horrible,” Dr. Ford said. The more potent an opioid, the more doses of naloxone must be administered. With the increase in illicit use of the powerful synthetic opioids fentanyl and carfentanil, it’s not uncommon for two or more doses to be used on one person. It’s also not uncommon, according to Dr. Ford, for medical professionals to watch after a patient who overdoses well after administration. 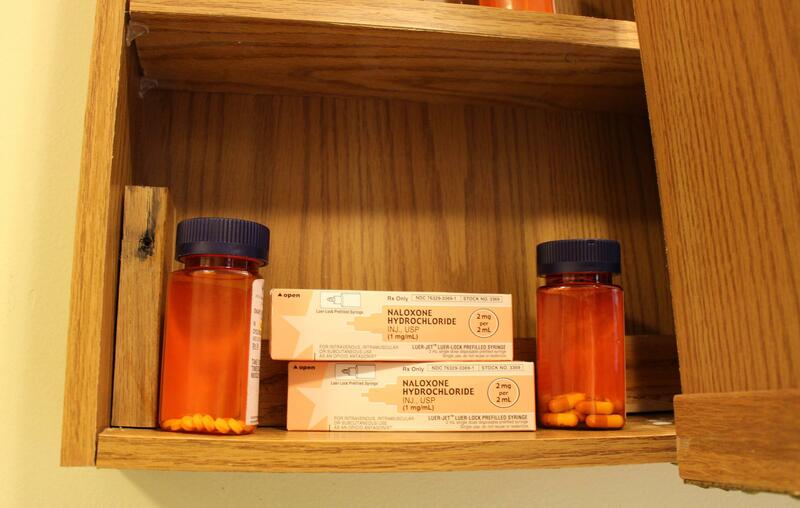 Even if revived, the naloxone could wear off before the opioid and the overdose could resume. Naloxone has been around since it was patented in 1961 but is getting public attention now because of the opioid crisis. Director Merry has been with Cabell County EMS for over 40 years. He said he remembers a time around 20 years ago when they were approved to start carrying naloxone on the ambulance. With overdose rates increasing in the Ohio Valley region in the last decade, governments have pushed for more access to naloxone. Ohio passed a law in 2014 adding other first responders to the list of agencies carrying the medicine. West Virginia and Kentucky followed suit with bills in 2015. Each overdose call in Cabell County today receives an ambulance, fire truck and police officer. And while EMS administers an estimated 90 percent of naloxone, according to Merry, the legislation helps to provide a safety net. Kentucky is also now having naloxone supplies stocked in locations not previously thought of, such as factories, government buildings and schools. The makers of NARCAN, Adapt Pharma, approached Kentucky’s Drug Control Policy Office about offering two doses free of charge to any high school in the state. 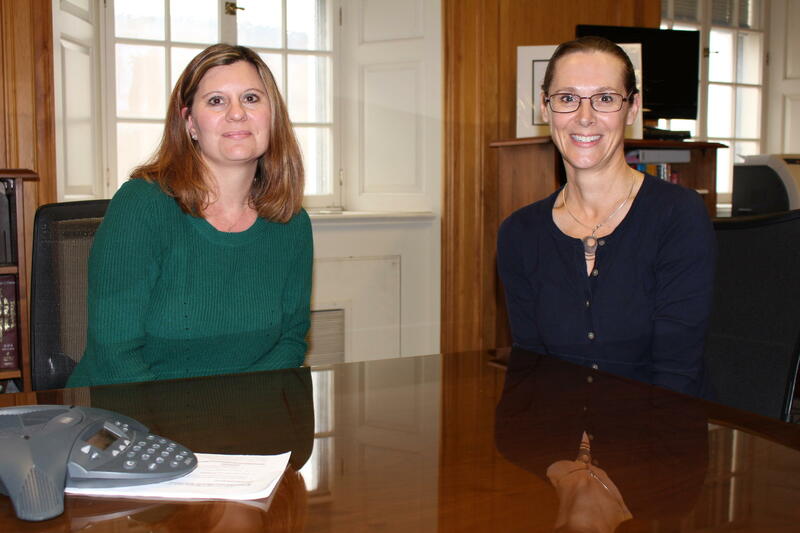 “We put together a training for school nurses representing almost every district in Kentucky and then gave them the option of accepting that NARCAN kit,” Drug Control Policy Director Van Ingram said. Response from the community was mixed. Some questioned whether if it was needed with few students across Kentucky suffering from overdoses and even fewer actually overdosing while in the school building. But schools bring in many different types of people. And that’s why Ingram said this is needed. Ohio worked to get naloxone in the homes of those at high risk for overdoses. 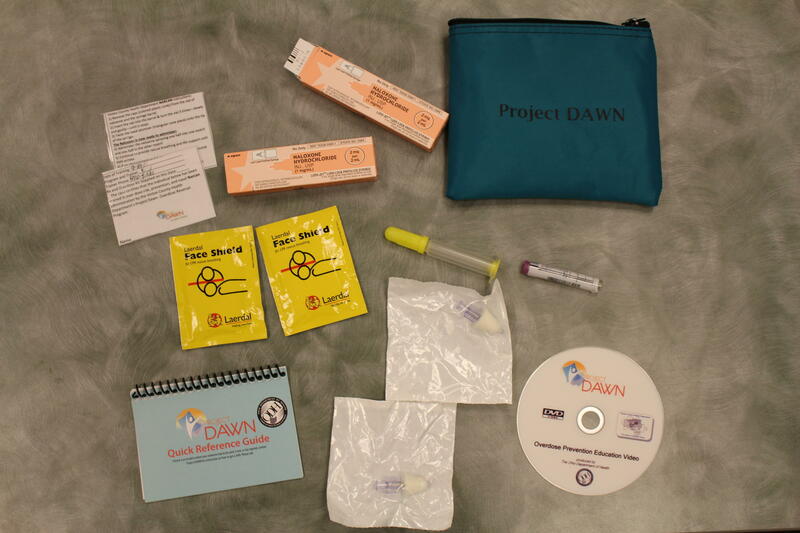 In 2012, Project DAWN — which stands for Deaths Avoided With Naloxone– started with a pilot program in Scioto County. Now at 50 locations across the state, anyone can get a simple 20-minute training and walk out with two free doses of Naloxone and a training video. “I think it was an important part of making sure it was easy for that person to do so it could be replicated and people would not be nervous about administering it,” said Jolene Defiore-Hyrmer, an official with the Ohio Department of Health. Jolene Defiore-Hyrmer (left) and Dr. Mary DiOrio conduct naloxone training for the Ohio Department of Health. The workers also collect data on who comes in for training in order to find ways to make the program more effective. “Not only looking at that process of how many kits are being distributed, how many people are we reaching, but the impact,” Defiore-Hyrmer said. 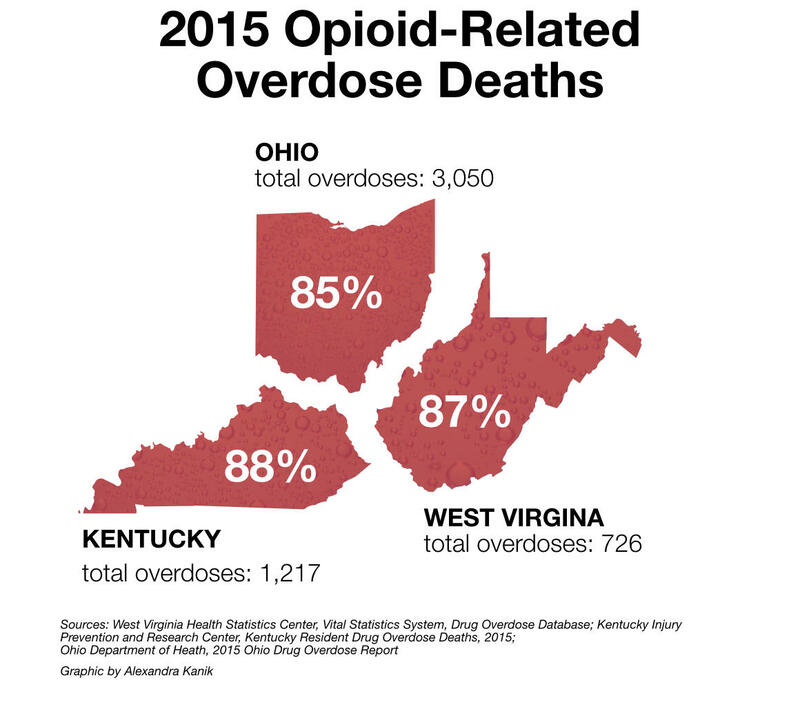 Kentucky offers free training sessions through the Harm Reduction Coalition and some county health departments in West Virginia offer training. Early research indicates these programs are successful. One study published in a 2013 edition of The BMJ looked at a pilot program in Massachusetts. The 19 communities there with public naloxone training were able to significantly reduce fatal overdoses compared to communities without the training. Those on the front lines of the opioid epidemic, like Gordon Merry, want more people to take advantage of the training. Materials in the training kit for Project DAWN. But Merry cautions that naloxone is not a “magic serum.” It won’t incite a lifestyle change in someone struggling with an opioid use disorder. The most frustrating thing for Merry is to revive someone, only to see that person check out of the hospital and overdose again, sometimes before his crew can even restock the ambulance. The day I interviewed Merry for this story his crews had already dealt with fatal overdoses. He says he doesn’t know what the answer is. Naloxone can save lives but it can’t change life habits or turn the tide of the epidemic. But at least it can give a person another chance.